The CoffeeShop Blog: This and That: "Elements are Fun!" and "CoffeeShop House of Horrors"
This and That: "Elements are Fun!" and "CoffeeShop House of Horrors"
It has been crazy-hot here in Texas (thankfully not as hot as it has been in Iran) so we decided to start homeschooling now. I would rather do school in August and take off October, my favorite month in Texas. One of the fun things we are studying this year is the periodic table of elements. "Fun?" you might ask? No, that was not a typo. I personally went through public schools in a constant state of boredom, and I remember HATING the elements. Our science textbook did not do them any justice. But luckily for my kids I am a science geek and last year I found this gorgeous book (Elements: A Visual Exploration of Every Known Atom in the Universe) at Amazon and ordered it right away. The boys will just sit and look at it for fun. The images are gorgeous and the text is very interesting and often quite humorous. I like a bit of humor with my science. We are learning the Alkali metals right now and we read about each element in our book and then watch these corresponding Ted-Ed videos. This week every video has featured a wonderful explosion. The boys and I LOVE explosions! The only flaw with the Elements book is it doesn't have a page with the entire periodic table filled out. At least I haven't found it yet. So this morning I went on a hunt to find something we could print out and laminate. 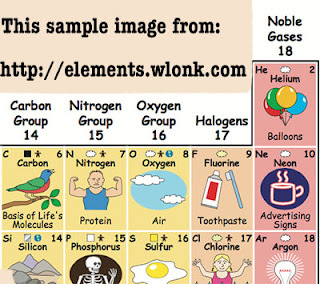 I was so excited when I came upon this amazing free printable periodic table (it is the first one linked on that page). This is the best periodic table for kids (and adults like me) I have ever seen. I love the illustrations and notes. 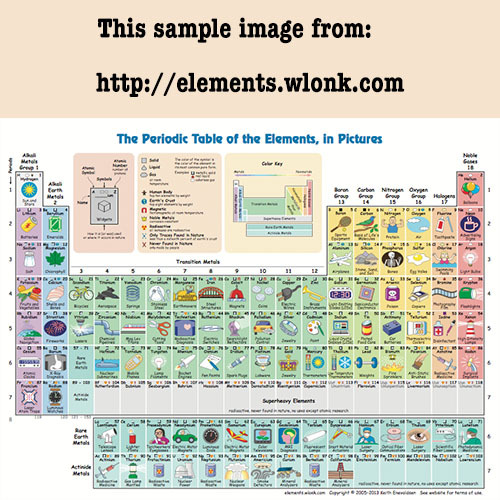 Who couldn't love learning the elements with this resource? I love homeschooling my kids. But am I wasting my time teaching the boys these interesting facts when they might go on to live a life of crime? Do you need to know the elements in prison? Does it benefit you to know the best type of hard but flexible metal to construct a prison-made shank? I texted the image to my husband who asked me if I was letting the boys watch Dexter. No, I am not letting them watch Dexter! They do love the penguins of Madagascar. But I have never seen any of those adorable penguins running around with a bloody knife. I do tune out when it is on, so maybe I missed something. Goodness, I am glad he isn't in public school or I probably would be getting call from a concerned teacher today. 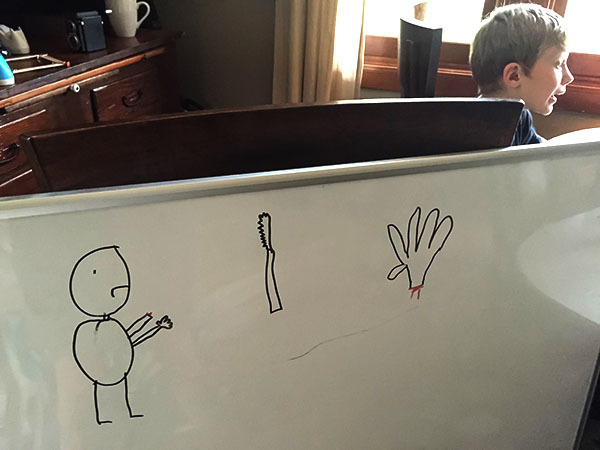 My kids are weird, right? Weird and lovable, which is a nice combination. Life is never boring at the CoffeeShop house! New freebie coming out tomorrow. I hope everyone is having a great week. Thanks, those are great science helps. I no longer home-school, but my daughters do, so I passed the information to them and others.